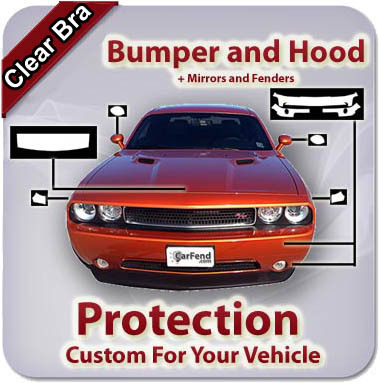 This kit will include pieces to cover your front bumper, hood, fenders, and side mirrors. This is made for your exact make, model, and year vehicle. 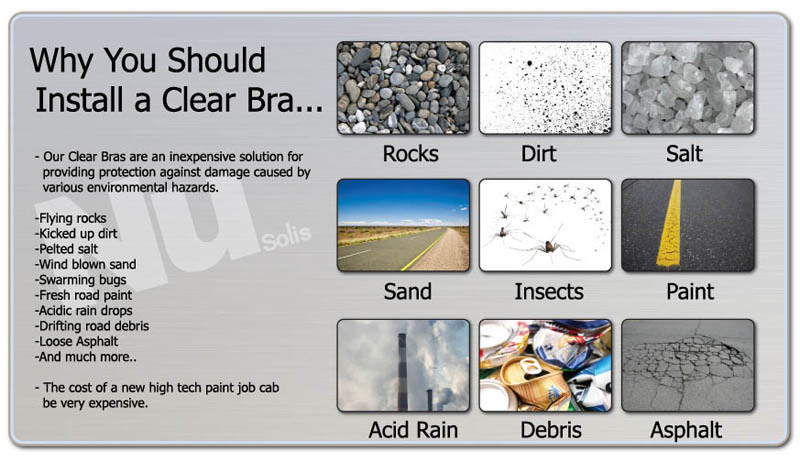 Please note that your actual clear bra will match the exact shapes of your vehicle's parts. All pictures on this page are examples only.